Responsible for quality QC /QA of fabricated items in a manufacturing environment. Must possess certificate or diploma in NDT level II. Interested candidates may walk in for interview at the following address The Indure Private Limited, Indure House, Near GK Metro Station, Exit Gate No.03, Savitri Cinema Complex, New Delhi-110048 till 22.03.2019 between 11 am and 4 PM. Expert in programming languages like JAVA,C,C++. Test case design and execution: Write test scenarios and optimized test cases with maximum defect detection potential. Experience in performance and reliability testing. Knowledge and experience on functional, compatibility, usability and compliance testing. Ability to perform static source code analysis. Should have an ability to understand the software product architecture, design and product requirement. Ensures timely delivery and high quality of the deliverables for the assigned work. Able to identify problems and suggest improvements, or adapt existing methods and techniques drawing from past experiences and feedback. Understand and create Master Test Plan and/or the Project Plan. Escalate and resolve timely, the technical and module related issues via proper escalation matrix. Must have analytical and troubleshooting skills. As a member of the software engineering division, you will assist in defining and developing software for tasks associated with the developing, debugging or designing of software applications\ Provide technical leadership to other software developers. Specify, design and implement changes to existing software architecture to meet testing requirements. Duties and tasks are varied and complex needing independent judgement. Fully competent in own area of expertise. May have project lead role and or supervise lower level personnel. Preferred Qualifications: BS or MS degree or equivalent experience relevant to functional area. 5 to 10 years of software engineering or related experience. Test automation engineer with proficiency in Java. very good in coding and architecture and have built large test systems for a tech company. Having knowledge of data science and/or ML domain skills with experience of coding in Python will be preferred. Knowledge and experience of working on big data application using hadoop or any related tools including and not restricted to Spark, Allexio, Kafka, Hive, zookeeper. Having worked on automation and tools that manage large scale of data including data replication, data validations and consistency, failover/recovery etc. Knowledge of Java /JDK8 is a must. Experience of working on Lambda architecture and streaming APIs. Candidates with working experience on Gradle, dependency injections with some tooling will be preferred. Having worked on API automation using Python or Ruby or REST services and has a exposure of testing applications on cloud products. Hands on experience on working on docker including administration, setup and configuration. Experience of working on Scala will be preferred. Software testing skills and experience viz. writing test cases, executing test cases etc. Test Suite creation and management, debugging and issue logging. Should be able to help in doing the validations and support the developers in doing the effective testing. Collaborate with development team to implement and deploy test strategies, test plans, and test processes and configuring test parameters. Cisco NSO certification is desirable. Work location will be in Gurgaon & Manesar. Course shuold cover theory and practical assignments. Company: SK VedaInfo Universal Technologies Pvt. Ltd. Position : S/w Test Engineer – Mainframes. MDM, Teradata MDM) and Testing should be strong. Self-motivation is essential, should demonstrate commitment to high quality design and development. Ability to develop & maintain working relationships with a number of stakeholders. Flexibility and an open attitude to change. You’ll love this role if you relish ownership of your work, passionate about software quality, committed to a great customer experience, and wants the opportunity to work on a team of brilliant engineers. We re looking for a Lead Engineer Test to focus on product quality and performance projects. 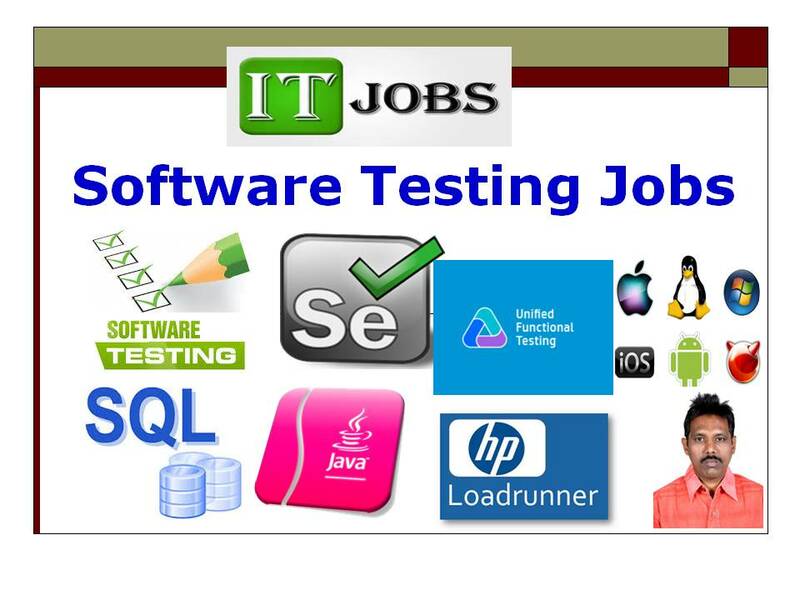 The person should have 9+ years of experience in testing, validating software applications and leading teams. This person would be required to work cross- functionally with a number of teams to ensure software quality from both a cost and technology perspective. This position is full- time and based at in our New Delhi Engineering office. Implementing and maintaining automated test suites for integration tests, API tests, UI tests and system tests. Good understanding of databases, SQL and application servers. Proven ability to work well with others in a fast- paced, iterative product definition and development environment. Next story 1.0 – What is Selenium?